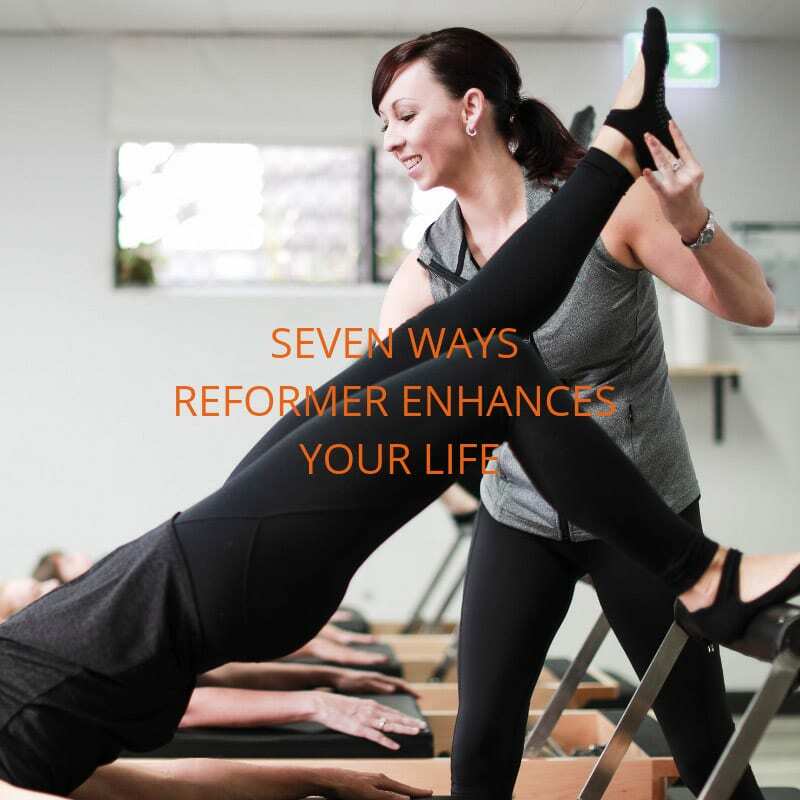 At Reform we absolutely believe that Reformer Pilates is the very best form of exercise that anyone can do. We’re obsessed with reformer, but for those of you who are yet to be initiated we thought we’d compile our list of the top 7 ways Reformer Pilates enhances your life. Better Posture – Now, I might have been imagining it, but I swear that the first time I did a reformer class almost 10 years ago I came out feeling taller (and not to mention absolutely shattered and though I was going to fall down the stairs from my wobbly legs). By working the rarely used muscles of the mid-back, reformer promotes better posture, which has the effect of making you stand straighter and …you guessed it… taller! Strength – Reformer makes you strong. Just about every single muscle all over your body gets a workout in one of our classes and over time they all become stronger. Without all-over strength, some of the simple everyday things in life become a challenge – like carrying your toddler (and probably the shopping bags at the same time), turning a heavily stacked trolley at the grocery store without blowing out a knee, playing games with your kids and getting in and out of the car. When you are strong, life is just easier. Full stop. Mobility – Reformer is a great way to get moving and is gentle on all the joints that get flogged by high-impact exercise forms like cross fit. I mean, you can even do most of it lying down. How awesome is that! More energy – like all forms of exercise regular Reformer classes will increase your energy levels. A class in the morning is a great way to start your day. And the best part – if you’re feeling low in energy all of our classes start lying down (see 3 above) so you can gently ease into it. Relaxation – Reformer is definitely relaxing. Not in a candle-light and meditation way, but more of a “wow, I am so totally spent after that class I feel like I’m wrapped in warm cocoon of exercise endorphins” kinda way. ← LOWER BACK PAIN..JUST GRIN & BEAR IT?